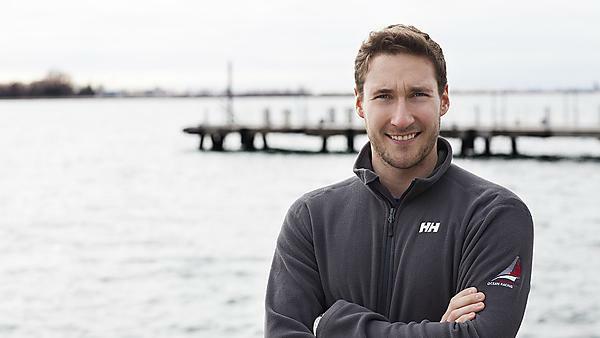 Since graduation, I have joined Canada’s top ocean racing team, Canadian Ocean Racing. Whilst originally just working as crew, I have now moved into the skipper role, putting all the navigation skills I built up at the University of Plymouth to the test. In 2020, I aim to be the first Canadian to finish the very prestigious Vendee Globe race. My career path hasn't changed, but I can honestly say that if I hadn’t gone to the University of Plymouth then I would never have made the necessary connections in the professional sailing world to get to this level of racing. The University of Plymouth also helped me to develop other skills which you need at sea: meteorology, oceanography, project management, and so many more. The most difficult thing I have faced is fundraising. Being from Canada, where professional sailing isn’t really that prevalent, it’s hard to garner the support needed to run such a campaign. Sailing from Vancouver to Toronto on an Open 60 was the most amazing passage. I learned an insane amount and had a great time. We also had amazing weather on the Pacific side of the passage and were accompanied most nights by dolphins, sea turtles, or whales. If there was one thing which I would have done differently it would have been to network more whilst at Plymouth. I have made several great friends that I still keep in touch with, but when I spend most of my time searching for funding, I wish I had spent more time at the yacht club meeting the people that can make this project happen. If you want to be an IMOCA 60 skipper, I would recommend you meet the people in the UK that are sailing these types of boats. Work for them; help them as much as you can. It’s a very small group of people that get to sail on these boats and if you are lucky enough to make friends with a skipper who can get you sailing, the experience you will have is invaluable. Studying at Plymouth allowed me to become so much more than just a student. It allowed me to build my entrepreneurial skills, build confidence, improve my public speaking, develop my project management skills, and make some amazing friends that have helped me out after my time at the University of Plymouth. My favourite memory of studying at the University of Plymouth is going down to the Hoe during Freshers’ Week, in my first year, whilst the America’s Cup World Series was happening. Being in Plymouth was daunting enough, but having my hero’s sail in front of me on my fourth day in the UK was an amazing experience. Yes, I do! They are invaluable to many of the decisions I make. They always provide great advice and are a great asset to have when I have a problem I can’t solve. I definitely would. Apart from the academics, the social life in Plymouth is beyond amazing. Plymouth is also an amazingly beautiful city. Having such amazing views of the English Channel, from a sailor’s point of view, is very cool.